The January issue of the Forum features David Barr’s (University of Chicago) essay, “Evangelical Support for Trump as a Moral Project: Description and Critique.” The rise of Donald J. Trump to the presidency has caused a crisis of misunderstanding in American politics. From the perspective of his critics, his ethos, rhetoric, and politics are so self-evidently evil, they cannot imagine how anyone could support him from anything other than depravity or ignorance. This essay makes the case that there is a deeper meaning beyond this apparently obvious one, and realistic political analysis requires that we recognize it. 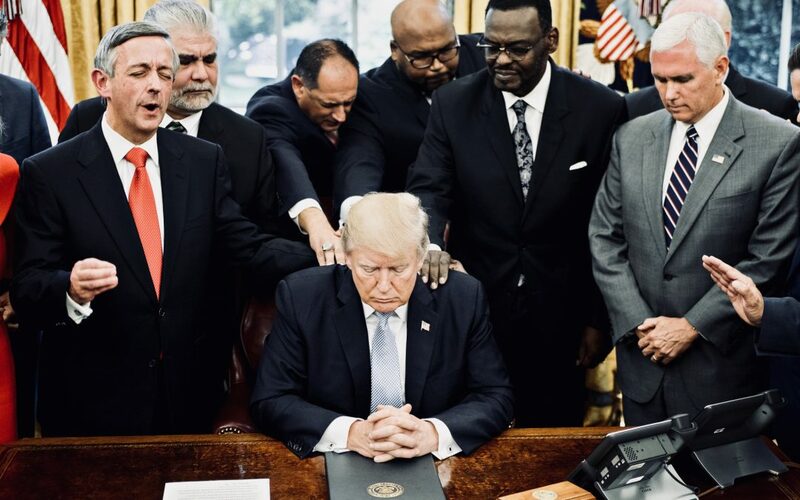 Barr argues that many American evangelical Christians support President Trump as an expression of a positive moral vision for American government and society. Drawing on the work of political scientist Benjamin Lynerd, Barr shows the deep roots of the affinity for Trumpism found in the political theology of American evangelicalism. 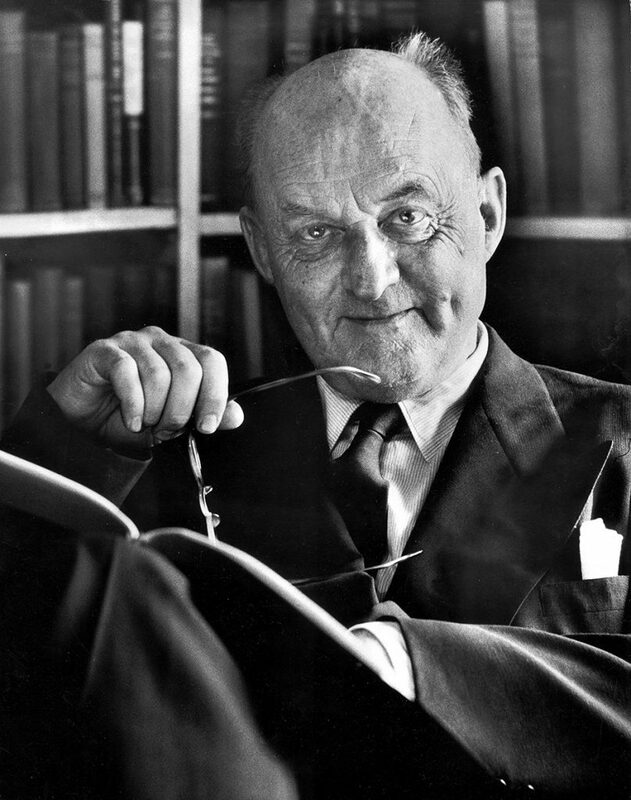 Those affinities explained, it concludes with a turn to the thought of Reinhold Niebuhr and current research in the sociology of religion to show the errors and perils that result in and from it. We invite you to join the conversation by submitting your comments and questions below. This description of American Cold War rhetoric forms the opening lines of Reinhold Niebuhr’s The Irony of American History (1952). Niebuhr was an ardent anti-communist, but the target of Niebuhr’s sustained polemic in the book was the obviousness of the meaning of the struggle with communism. Ironically, Niebuhr believed that victory in that struggle was more likely with less confidence in the obviousness of the moral meaning of such a victory. Today, it seems everybody understands the obvious meaning of the domestic political struggle in which we are engaged. For those of us on the left and the middle (and for some on the right), the ethos, rhetoric, and politics of Donald J. Trump are self-evidently evil. Thus, we conclude that those evangelical Christians who support him must act from depraved motives to the extent that his depravity appeals to them. We see two obvious explanations of the fact that these conservative Christians support him in large numbers: 1) they have abandoned their once-noble principles, or 2) those principles were only ever a smokescreen behind which operated racism, classism, xenophobia, and other forms of prejudice. I feel the same ironic tension that Niebuhr did: I don’t question the need to oppose and defeat Trumpism, but I am just as sure that the obviousness of the moral meaning of the cause is a serious hindrance to it. The meaning of the struggle is no less true for becoming trite, but it is not the whole meaning. 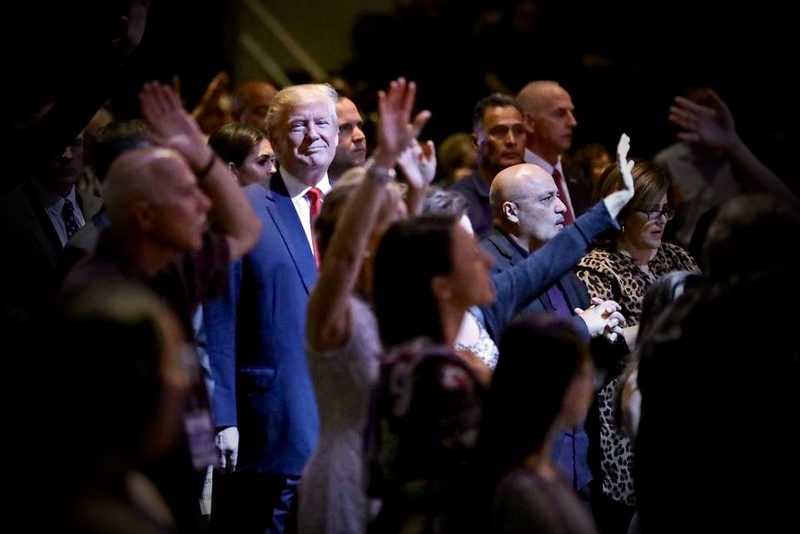 What follows is an attempt to see the less obvious element of that whole: support for Trump on the part of many evangelicals is a consistent outgrowth of a coherent political theology, one undertaken with noble intentions. It seemed clear to many in Niebuhr’s time that the more we were committed to victory, the less acceptable it was to question our virtues or our enemies’ vices. Niebuhr, however, is a realist. To him, realism means that descriptions of situations should be realistic rather than ideal, accurate even where inconvenient, rather than simple but inspiring. If we judge others’ motives simply diabolical, we are wrong. Error is bad politics. It causes us to misdiagnose the past, act naively in the present, and err in our predictions for the future. As long as we understand and express only the obvious roots of this phenomenon in prejudice, and ignore the way in which those supporters understand themselves to be acting, we will prevent both meaningful dialogue and our own clarity about what is really going on. Realism requires us to avoid seeing our situation as a straightforward struggle between those with moral motivations and those with diabolical ones. Of course, there are always political actors and movements motivated by evil, and none free from it. We must make those judgments. But we can recognize nuance and ambiguity without embracing relativism; attempting to see the fuller meaning behind the obvious one doesn’t require us to suspend judgments of better and worse. Being realistic about the moral motivations (important note: I’m using ‘moral’ as a description of the type of motivation, not a positive judgment on it) of evangelical Trump supporters is, I grant, particularly difficult. Trump does not traffic in moral language. His is an almost entirely amoral political vocabulary, so it is hard to see how his supporters understand themselves to be supporting a moral project. It helps when politicians at least present themselves as directed toward moral ends. They give our imagination a starting place. Not so with Trump. For example, in his 2012 book Time to Get Tough, Trump called Obama and his diplomatic corps foolish, brainless “pansies” for not demanding half of Libya’s oil for the next twenty-five years in exchange for taking out Qadaffi. That there were reasons not to make this deal other than idiocy and weakness does not seemed to have occurred to Trump. International law and norms of geopolitics are, from Trump’s perspective, for suckers.1 Many liberals thought Bush had mercenary intentions in the second Gulf war (making “No Blood for Oil” bumper stickers), but Bush made it easier to imagine his supporters’ noble intentions because he framed the conflict in moral terms. Trump gives us none of that. His discourse is almost exclusively about power, self-interested negotiation, nationalism, size, strength, and so on. Making empathy harder still, Trump is not just amorally calculating and commercial; he is openly immoral: vulgar, dishonest, petty, mean-spirited, racially insensitive, and so on. Conservative (and especially white) evangelicals have a political vocabulary that is almost exclusively moralistic. They also value personal integrity and Christian principles in their politicians. This makes their approval of Trump opaque to those who don’t share it. What follows is my attempt to make their thinking more transparent. If we are to move past the obvious and simplistic meaning of the current political struggle, we have to see the religio-moral logic behind conservative evangelical political theology. On the surface, Trump does hit the right notes for evangelicals on issues like abortion and sexuality. Those factors are well known and in fact motivated a lot of evangelical voters. I don’t mean to minimize their influence. However, if we focus only on those issues, we will fail to see the deep affinity between evangelical political theology and Trumpism. The clearest articulation of the logic behind that affinity is found in Benjamin Lynerd’s insightful book, Republican Theology: The Civil Religion of American Evangelicals. Lynerd coins the term ‘republican theology’ (note the small ‘r’ in republican) to describe the way evangelicals understand American politics in relation to divine purpose. He provides a historical description of evangelical political thinking to explain what appears contradictory or hypocritical to many observers: the way evangelicals combine libertarianism with strict government regulation on moral issues, for example, being against government regulation of the economy, but in favor of government regulation of marriage. Lynerd does not deny that this contradiction is real. He writes, “If the ideology of American evangelicals—a libertarian ethos combined with a restrictive public moralism—seems conflicted, that is because it is conflicted, a point not lost on critics of evangelical politics.”2 Lynerd carefully shows how this tension within republican theology is not mere straightforward hypocrisy, but he does not claim it is un-problematically consistent. Rather, he shows it to be part of a largely coherent, though imperfect, moral-political logic. Thus, even though the book preceded Trump’s rise, it is an ideal resource for us to see the historical and intellectual depth behind the apparent contradictions involved in evangelical Christian support of President Trump. According to Lynerd, subscribers to republican theology—that is, most American evangelicals—believe that the United States has special religious and moral status—even to the point of being a “chosen nation.” That status is both ordained for and a result of our practice of proper religion and proper government. These form the necessary conditions of the development of personal morality, of virtue that allows citizens to direct themselves. This virtue, in turn, makes political freedom sustainable; it allows for self-regulation without government intervention. Political freedom, in turn, allows the practice of right religion, which inculcates virtue, which is required for limited government. Lynerd quotes evangelical writer Os Guiness: “Freedom requires virtue, which requires faith, which requires freedom, and so on, like the recycling triangle, ad infinitum.”3 For republican theology, America’s historic success resulted from a carefully maintained mutual reinforcement of proper religion, morality, and politics. Thus, many evangelicals see limited government and the political and economic freedom that comes with it as an organic, obvious aspect of their moral and religious values. They see expansive government as a threat to both religion and morality. When the government interferes in religion and the economy, we lose the conditions and incentives to develop the morals that make self-government possible. By “self-government” I mean responsible participation in democracy, but also regulation of one’s own behavior. We can have the first sort of self-government if and only if we have citizens capable of the second sort: mature, self-sufficient, responsible, hard-working, generous people learning from and creating strong families, churches, businesses, and communities. In such a society, government regulation of people’s lives is not needed or wanted. The one exception republican theology makes is for government action to preserve the conditions necessary for the formation of self-governing citizens: respect for life, marriage, family, decency, and so on. If we miss republican theology, we misunderstand evangelical political choices. For many on the left, for example, government assistance for the poor is an obvious moral good. From the perspective of those who subscribe to republican theology, however, the liberal drive to “help the poor” through redistributive policies is not moral heroism, but a naïve misunderstanding of what actually helps people and the economy. They see government intervention in the economy as creating dependence, enervating creativity, and stunting both economic growth and the development of human beings with the full range of virtues and beliefs that God intended in creation. To expand government, then, is to abandon the obvious lessons of America’s success, to undermine religious freedom, and to invite dehumanization and corruption. While liberals are regularly scandalized by how little conservative Christians seem to “care about the poor,” conservatives often oppose the expansion of government, at least in part, precisely for the sake of the poor, both economically and morally. Thus, while Trump’s rhetoric, ethos, and personal life are aberrations from republican theology, his antipathy toward government and ruthlessness in waging war against it is one of its purest expressions in recent U.S. politics. In other words, Trump is useful for republican theologians. They see support for their project when he declares war on the “administrative” or “deep” state, lowers taxes, cuts environmental and consumer protections, ends social welfare programs, and so on. The enthusiasm with which evangelical culture-warriors and champions of faith and family have embraced this secular, East coast, and thrice-married vulgarian is—on its surface—base hypocrisy, explicable only through unprincipled prejudice and ignorance. With reference to republican theology, however, we can see that—for many evangelicals—supporting Trump is at least in part the product of a coherent-if-imperfect, religio-political perspective faced with a difficult ethical tradeoff. We may dispute their premises, but interpreting evangelical support for Trump as simply evil and ignorance obscures the drive for moral goods that lies behind it. Recognizing the role of moral motivations in evangelical support of Trumpism does not place it beyond criticism, of course. Lots of disastrous, even evil, political movements have been pursued for noble ends. It should prompt to us frame our criticism differently, however. It suggests that, instead of dreaming up ever more strident denunciations of their evil intentions, we should try to show how their good aims have become confused or disordered. Niebuhr is helpful here. Drawing on his ideas, I now offer examples of the sort of immanent, sympathetic, and realist critique that I hope is less prone to alienating our interlocutors and more likely to be taken seriously by them. Niebuhr helps us see that there are three confusions built into republican theology, affecting each of its three pillars: moral self-government, limited government, and proper religion. First, republican theology is confused about when the government should intervene to protect morality, favoring only a narrow and private set of issues—mainly marriage, gender issues, and the like. When they think about economics, the government’s job is exclusively negative. Republican theologians do not often think about positive government intervention as necessary to preserve the moral-pedagogical role of the markets. This low view of government matches how we mythologize America’s past as a story of individualism and independence. Niebuhr, however, believes those myths miss the extent to which our actual political practice has been more pragmatic, collectivist, and proactive than our creeds describe. As an example, Niebuhr notes that Thomas Jefferson was a champion of small government and an idealist about the potential for citizens to self-regulate, but also a realist about the economic conditions required. Jefferson believed, like many evangelicals today, that the economy was a school of virtue, but he believed that one could only matriculate in that school through independent land ownership. So, while Jefferson extolled limited government as the path to virtue in his rhetoric, in practice he orchestrated the Louisiana Purchase—an unprecedented federal expenditure—to guarantee the material conditions that virtue requires. He used the government to distribute wealth to the common person to help shape a society in which his creed made sense. Thus, he saw that the exceptions to libertarianism we need in defense of morality included material interventions to make economic participation more generally available. Niebuhr believes that Jefferson’s realism worked and the federal effort to expand the frontier in the 1800s served as a massive infusion of wealth into the working class. He also thinks industrialization was able to take up the slack after the frontier closed. Economic opportunity meant the government had to do much less to maintain social order. He writes: “It can hardly be denied that the fluidity of our class structure, derived from the opulence of economic opportunities, saved us from the acrimony of the class struggle in Europe…When the frontier ceased to provide for the expansion of opportunities, our superior technology created ever new frontiers for the ambitious and adventurous.”5We have been able to avoid more aggressive government involvement in society because economic fluidity has mitigated the social tension that requires government intervention. We have been lucky and pragmatic, with immense space and resources to allow us to shape prudently an economy that makes limited government possible. With the frontier closed and industry no longer expanding, we will face new threats to our freedom: populist and authoritarian politicians who promise they can restore economic opportunity through regressive and nationalistic policies. Niebuhr foresees the end of easy economic fluidity if industrialization ever ceases to provide a path into the property-owning classes. He concludes that, “ultimately we must face some vexatious issues of social justice” that have arisen in Europe and which will require the same sort of pragmatic social management they have developed. Republican theology has become absolute in its opposition to government involvement in the economy. However, there is no reason it cannot learn from America’s past and see such intervention as in service of morality by allowing access to the economy, rather than as dependence-causing disincentives to such participation. This sort of exception to libertarianism should be in line with the basic logic of republican theology. What will these pragmatic exceptions to libertarianism in defense of morality look like in a post-frontier, post-industrial America? I cannot say for sure, but they will certainly have to include providing universal quality education, protecting sustainably productive land, ensuring a healthy population, and guaranteeing a path from steady work to property ownership. These strike me as areas in which bipartisan cooperation should be possible. The second confusion involved in evangelical support of Trump concerns the belief that limiting government always results in an increase of the kind of freedom republican theology values. This confusion is the result of a naive view of power. Niebuhr’s description of the bourgeois liberal describes the modern conservative well. Such a person is, “oblivious both to the elements of power in society and to the disproportions of power in economic life. Power, in the thought of the typically bourgeois man, is political. He believes it must be reduced to a minimum.”6 In the discourse of contemporary conservatism, political power is the only type that threatens economic freedom. Conservative evangelicals believe that a reduction in government involvement in the economy removes the problem of power, resulting in free encounters between individuals. They are under what Niebuhr calls the “illusion of classical liberalism that power is not an important element in man’s social life.”7 They assume that competing interests make for justice without regulation. Niebuhr, however, insists that such organic justice would be possible “only if the powers which support interest were fairly equally divided, and they never are.”8 What Niebuhr recognizes and republican theology misses is that imbalances in economic power are as great a threat to the wellbeing and freedom of individuals as political power. Niebuhr calls economic power a form of “covert power”9 because it is less obvious than political power (except, of course, to those without it), so maybe an example would be helpful here. It was largely impossible for black Americans to buy homes in the South under Jim Crow. This is overt political power, the kind that worries republican theology. What is less well known is that it was also largely impossible for black Americans to buy homes in places like Chicago. Private real estate covenants outlawing selling or renting to African Americans in whole neighborhoods, racist lending policies, and great inequalities in capital did the job nearly as effectively as the laws of the South. Niebuhr warns us: wealth is power. It can be abused. All great imbalances in power lead inevitably to injustice. Corporations and the rich can collude to lower wages, to create dangerous conditions for workers, to pollute the air and water, to sell dangerous products, to sway elections and public opinion, and generally exert their influence irresponsibly. Less insidiously, the wealthy can simply outcompete the poor in the race for important goods and services. All that to say, there is no reason to think that a decrease in the deployment of political power in the economy will automatically lead to a proportional increase in individual freedom. Covert forms of power will fill the vacuum emptied by the state and restrain the choices of individuals. If we grant republican theology’s position that freedom is a necessary condition of right religion and right morals, it follows that freedom must be protected against all great power inequalities, not just political ones. We must use the power of constitutional democracy to check both the rise of authoritarian politics and the hegemony of irresponsible capital. We need checks against tyranny, but we also need strong consumer and labor protections and corporate transparency, and we must protect democracy from distortion by the influence of money. Freedom does not blossom where government retreats; freedom is possible when power, including the government, checks power, including economic power, in defense of the individual. Finally, there is significant confusion regarding the third and final leg of the republican theology stool: proper Christian faith as a necessary precondition of a flourishing democracy. I see many problems here, but allow me to highlight just one. Thus, republican theology is not an automatic or self-evident implication of Christian theology, even of Calvinism. Other branches of Protestantism are even less sanguine about it. Niebuhr’s work picks up a strain of pessimism about human perfectibility that runs through Augustine and Luther, which is deeply ambivalent about any straightforward connection between either faith and virtue or virtue and flourishing. Republican theologians would be well served to recognize that their take on this is not the only, or even the majority, Christian position. According to the authors of the study, Christian nationalism draws heavily on Old Testament themes wherein Israel was “commanded to maintain cultural and blood purity, often through war, conquest, and separatism.” Christian nationalism, in actual practice, thus often carries with it racialized notions of purity. Appeals to our “Christian” heritage easily become code for “white” and “European.” Earlier research by Perry and Whitehead,13 for example, showed that “Christian nationalism is a strong predictor of antipathy toward racial boundary crossing,” including interracial marriage. In surveys, Christian nationalism correlates strongly with racism and xenophobia. I do not think that republican theology is necessarily tied to Christian nationalism or that Christian nationalism is necessarily racist. That said, it is an empirical fact that republican theology, Christian nationalism, and racism often overlap in our society. This is a sociological, not a priori, criticism. While there is no necessary causation between republican theology, nationalism, xenophobia, and racism, I want to suggest that their overlap is also not accidental. We live in a country whose founders were white, largely Protestant Europeans. As long as we identify early America as a successful economic and political experiment and credit that success to morality and religion and we are willing to make exceptions to libertarianism to protect the preconditions of that success, then we will face the constant temptation to elide culture, race, religion, and morality and to use the government to enforce racial, cultural, and religious purity. 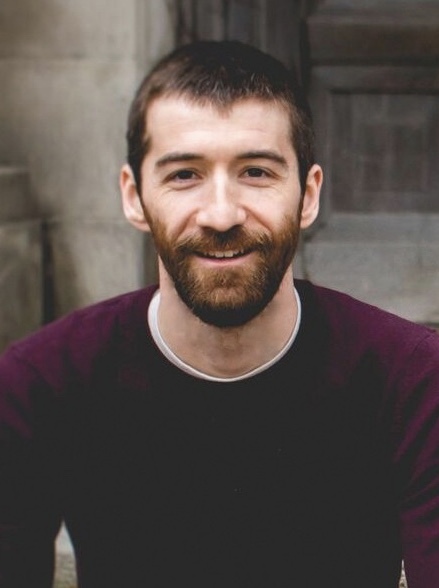 David Barr is a Ph.D. candidate in Religious Ethics at the University of Chicago Divinity School. His research focuses on Christian social and political ethics, especially environmental issues. His dissertation draws on the work of Reinhold Niebuhr to offer a Christian realist environmental ethics. David blogs about religion and political discourse on forthesakeofarguments.com. Excellent article. Bravo! Tremendous clarity here. The “land question” was lightly touched up and could be further developed from the perspectives of the two versions of Christianity – the Jesus Sermon on the Mount non-violent version with its land ethic of “koinonia”, that the Creator made the land to fairly share for the self-sufficiency of all, and the version that emerged when Christianity became the religion of the Roman Empire, the time of Constantine and Augustine and the “just war theory” with a land law of “dominium” that legalized land acquired by conquest and plunder. A deep expose of these two incompatible and irreconcilable versions of Christianity will also address the moral quandary and logical inconsistencies of Christians who support high military budgets and wars of conquest today.